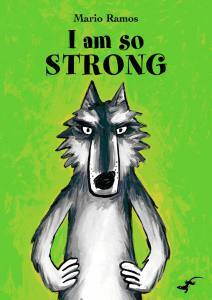 More delightful illustrations, comedic writing and clever appeal for young children. Will tackle nerves head on as the little rabbit Simon (of bestselling Poo Bum fame) heads off for his first day. Full of bright illustrations, large text … great for kids who are having a hard time adjusting to the idea of starting pre-school or school. Huge print, clever repetition and simple blocked-colour illustration combine to make Blake’s titles sure-fire hits with their audience. Great for group read-alouds, because the pages are easily appreciated from a distance. Beautifully illustrated and with child friendly text, this colourful book is ideal as a shared read or as a read alone for the emergent reader, it’s size is ideal for holding and the bright, clear and funky illustrations will appeal immensely to both adults and children. Vibrant colours and strong text offer a young reader an amusing story. Reverse psychology, coupled with one of our favourite literary characters, makes this idea for anxious pre-schoolers. 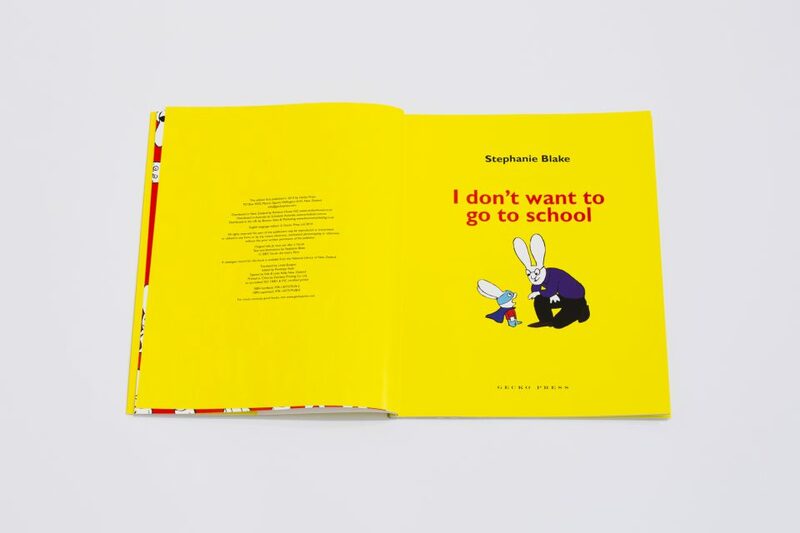 [It] totally nails the experiences of child who is nervous about starting school … an absolutely MUST-READ book for any small person who is anxious about going to school. 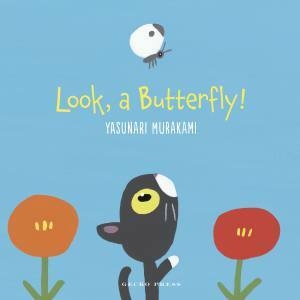 The illustrations are bright, colourful, simple, but also totally engaging. A near-on perfect picture book. 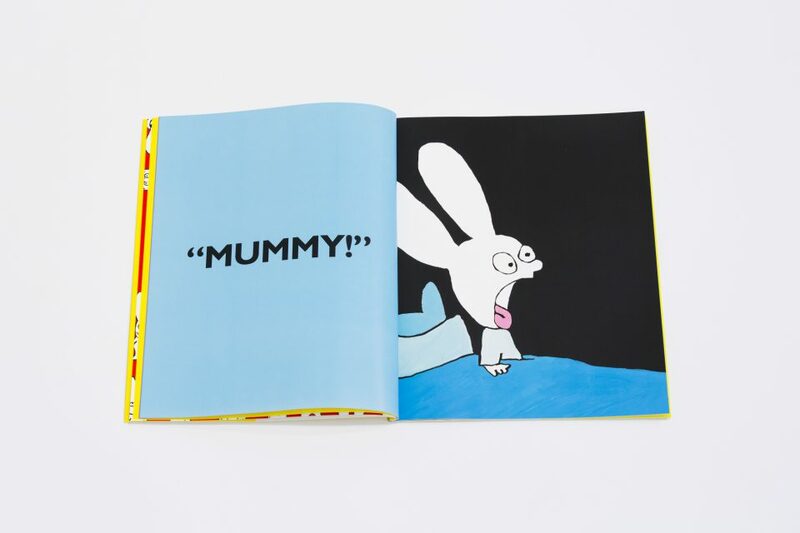 Bright colours and giant text make it a visual treat and Blake’s wobbly drawings could inspire little ones to copy her style … Simon is a brilliant character that deserves to reach a wide audience. Simon’s cheekiness and forthrightness is in the heart of us all and especially in our pre-schoolers … A humorous story with the ability to explore feelings – it’s a winner! Bright colours, simple story that captures the feelings and anxieties about starting school but with a great outcome which is sure to appeal to young children in the same situation. The bold, colourful presentation is deceptively simple. The emotions of this stubborn little rabbit are captured well. Preschoolers one and all are likely to be drawn into this little tale. 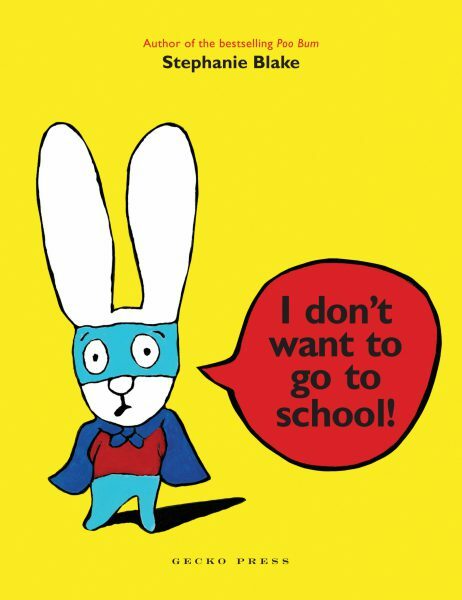 Satisfying, humorous … a reassuring tale for young children about to embark on their first day at school. A charming story told with such humour and illustrated with delightfully quirky illustrations, and it is sure to calm any `first day of school’ nerves. 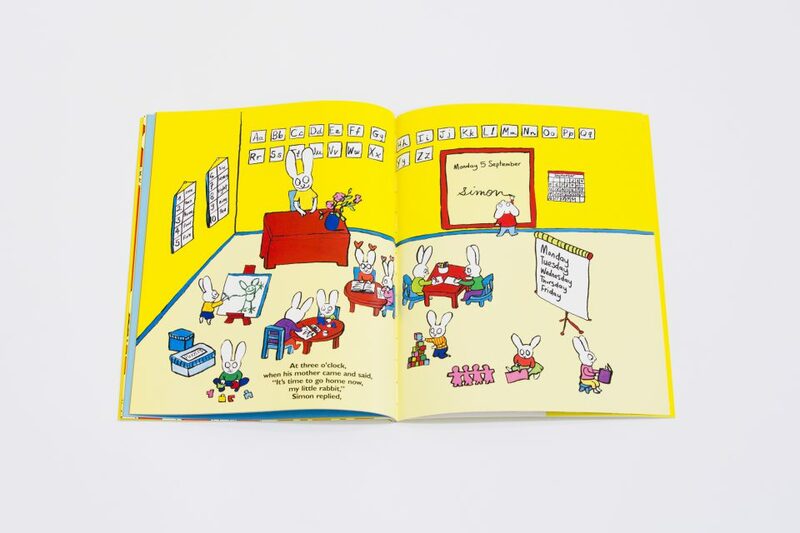 A sweet starting school book that’s perfect for boys and girls … The illustrations are rough and ready, bright and fun with lots of primary colours. Recommended summer reading before the start of the school term. 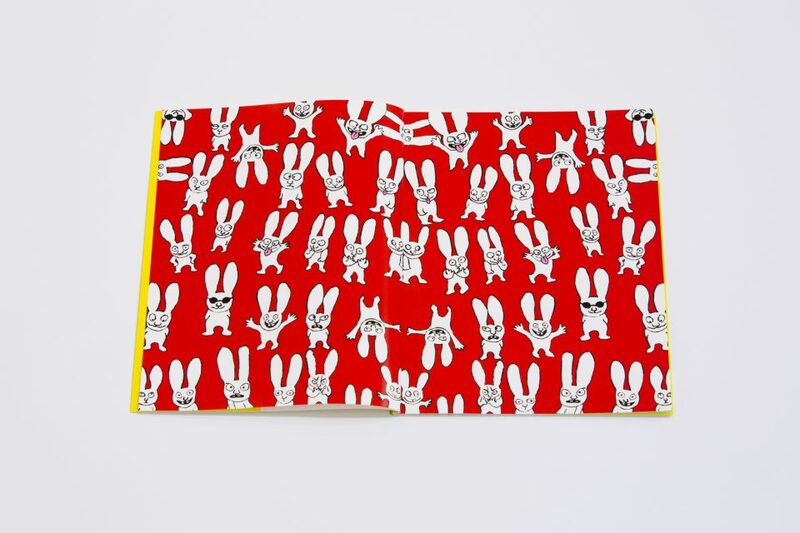 Another gem from Stephanie Blake, featuring our favourite bunny-hero, Simon. 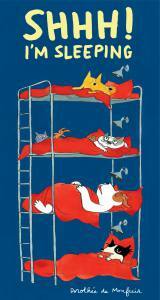 More delightful illustrations, comedic writing and clever appeal for young children. 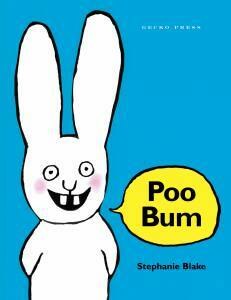 Tiny thought this was an incredibly funny book … [has] a huge amount of appeal to those nearing school-age. My 5 year old pounced on [it] and it became the first book that she has managed to read ALL by herself. She found it sooooooo funny (bonus) … Thank you Gecko for another awesome book which is helping to open up new worlds of reading delight in our house. Another excellent picture book about Simon … The whole collection of stories about Simon is a must for primary school libraries and there are excellent tips for parents too.